I'm a world builder. I didn't realize it for a while, and I didn't really embrace it for even longer, but I guess there isn't much point in denying it now. I built a world, and in my head it is beautiful and complex and if you ask me what one of my characters was doing during any important historical event, I can probably tell you. Not because I have it all outlined somewhere, but just because it's inside me. I'm a little bit baffled that I can keep it all straight, and I really hope that I can find someone in the industry who loves it as much as I do and wants to give it a chance. If not, I'm sure I'll live, but man it's exciting. This all sounds like hubris, maybe, but sometimes writing requires a little bit of ego, and I'm really proud of what I've made. My father used to read to me and my sister at night before bed. If for some reason he couldn't, my brothers would. My oldest brother was always the most dramatic and theatrical, and we would get in trouble because he would make us laugh so hard we weren't tired anymore. Sometimes instead of reading, my dad would sing old camp and folk songs to us by request--my favorite was White Choral Bells. It's something I remember fondly, and a tradition I intend to pass on. I'm a huge Star Wars fan. I also love Star Trek, but I hated Wesley Crusher from TNG. Something about that young-whiz-kid-who-saves-the-day character just rubs me the wrong way. Luke Skywalker has something of that aspect in the original Star Wars (A New Hope) which is probably why I never really cared for him, either. Han and Leia are my favorite, of course. I dreamed of being a zookeeper and working with tigers. In college, through what was essentially a fluke, I got to go pet a female Siberian tiger that someone had and discovered I was horribly allergic to them. It was itchy-eyed-running-nose ridiculousness. I still love tigers, but I think it's probably for the best that I changed my major and my career path. When I was a kid I used to pretend that I was a superhero, and my powers were communicating with animals, flying, morphing, and immortality. Now that I'm grown up, I'm not sure that I would really want to live forever. The other stuff would still be awesome, though. I collect goblets. I think they're cool. I have no space for them in my cabinet, so half of them are packed up in boxes in my parents' house, and the other half are probably headed to the same place. At least until we move to a bigger apartment/house/whathaveyou. Cookies are my number one most favorite dessert food, and after a good 20+ years of making them, I have perfected the recipe for Chocolate Chip Cookies. I kid you not. It's entirely possible that someone else has already figured out the same recipe independently, but I still guard it jealously. If I never get published, I will live my life knowing I make AWESOME Chocolate Chip Cookies, and be content. Now that that's out of the way, on to the next item on the agenda! Boy have people been busy while I've been on hiatus--Tricia J. O'Brien over at Talespinning gave me an award too! The Superior Scribbler award. I'm flattered to have been thought of, and floored by all this attention from bloggers I've just met. 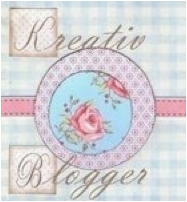 Thanks so much for this outpouring of blog-love. I try to keep things interesting around here, and I'm glad to know I've succeeded somehow. In November, I also received the One Lovely Blog award from Stephanie Thornton, at Hatshepsut, but being new then to the blogosphere, I wasn't sure how to handle it, other than with gracious thanks-- which I give again, today! Plus, at that time I didn't know fifteen people to pass the award on to, so I just kind of let it get away from me. Now that I've been around the block a couple times, I've observed the established order of things and the way others have handled it. (At first I wasn't sure if I was allowed to pass these awards on, or not, I mean.. I was just a n00b. From what place of authority was I standing to judge?) I feel like I've got a handle on things, and I'd like to at the very least give a few shout outs and spread the love. I think Dmitri Demmidov's Meal is a great blog, and they've always got something thought provoking to say, so I'd like to award them a Superior Scribbler, in particular for the Santa Claus and Jesus post, which summed up a lot of things I wish I had thought to say first. I'd like to send some love over to Just Another Sarah, too, who always has an interesting tidbit to share, and has never failed to show a generosity of spirit that is beyond my ability to fully return. 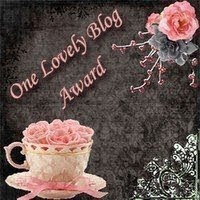 Consider a One Lovely Blog award a meager attempt? And if you love Christmas trees, check out her other blog, too. Ohhh...you are so sweet! I feel very humbled. Thank you!!! And may I just say, you totally earned the awards you were given! Way to go! Ditto on Wesley Crusher. Blecch. We should compare chocolate chip cookie recipes sometime- I've got one that's awesome and I don't usually like chocolate chip cookies to begin with. Stephanie, I think you will like my recipe. It's impossible not to like. I think it's so cool your father or brothers read to you. If all fathers did that I'm convinced the world would be a better place. Tricia--if not me, at least my characters get to. Although, I haven't yet addressed flying in anything I've written. Thank you! I appreciate the award! Regarding the world-builder bit, I'm in love with your world. As far as the cookies go, I must have some of them someday.